Oh yes! It is finally going to happen! It is my first time so I felt like a kid who had her candy snatched when they said it was postponed. 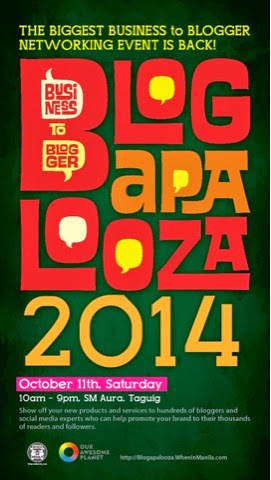 For those who have already registered, check out http://blogapalooza.wheninmanila.com/more-than-600-bloggers-have-registered-for-blogapalooza-on-septemeber-20/ to see if your blog is listed! See you all fellow bloggers!